I previously wrote (link here) about the trademark infringement lawsuit filed in February 2008 by the Chicago National League Ball Club, L.L.C., the owner of the Chicago Cubs Major League Baseball team (the “Cubs”), against the owners of two baseball clubs in the business of selling rooftop seats which allow patrons to watch Cubs games played at Wrigley Field because of the close proximity of Wrigley Field to the building rooftops where the clubs operate. While that particular lawsuit was settled by the parties in May 2008, the Cubs are at it again. On March 10, 2009, Chicago National League Ball Club, L.L.C., brought a similar lawsuit against T. Lamb, Inc. (doing business as the “Lakeview Baseball Club”) in the U.S. District Court for the Northern District of Illinois. See Chicago National League Ball Club, L.L.C. v. T. Lamb, Inc., Case No. 09-cv-01523 (N.D. Ill.). A copy of the complaint can be downloaded here. 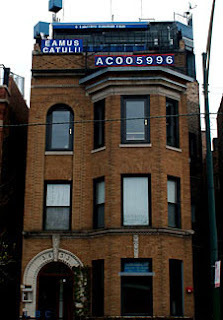 The Lakeview Baseball Club is located at 3633 North Sheffield, Chicago, Illinois 60613 –across the street from Wrigley Field and with an excellent view of the field from its rooftop. The complaint alleges that T. Lamb has been charging patrons fees to view the Cubs’ home games from this rooftop and supposedly made over $2 million in 2008 alone. This lawsuit, however, is slightly different than the one that the Cubs previously filed. In this case, the Cubs had filed lawsuits against T. Lamb (along with other rooftop owners) in 2003 resulting in a settlement agreement whereby T. Lamb was permitted to charge admission on the day of any Cubs home games in return for paying a fee to the Cubs. T. Lamb paid the fees due to the Cubs under the settlement agreement for the 2004 through 2007 seasons. Then, in early 2009, T. Lamb apparently notified the Cubs that it would not pay the fee for the 2008 season. Based on this breach, the Cubs terminated the settlement agreement. In addition to this breach of contract, the complaint alleges that T. Lamb is still improperly using the Cubs’ trademarks in promoting its rooftop club despite a cease and desist notification from the Cubs. [Ed – click here to view the club’s own brochure and decide for yourself if T. Lamb is using the Cubs’ trademarks in any sense that is other than fair.] The complaint specifically focuses on the fact that when an individual visits the Lakeview Baseball Club website, the title of the website’s home page reads “Lakeview Baseball Club (Chicago Cubs© Wrigley Field© Rooftop).” [Ed – do you think they meant to use the © copyright symbol instead of the ® symbol for a registered tradmark?] The Cubs’ trademarks also appear in other parts of T. Lamb’s website [ed. 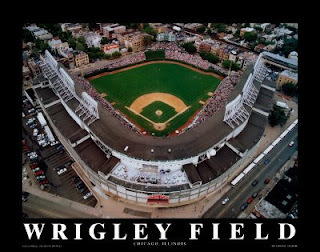 – although arguably in fair use sense: e.g., “Whether you just want to catch a Chicago Cubs game at Wrigley Field” “rooftop entertaining, including employee and client parties overlooking Wrigley Field©.” In the past we've hosted Cubs© themed wedding receptions]. The complaint also alleges that the website claims that the club is “endorsed by the Chicago Clubs” (although I was unable to find such language on the website in conducting my own quick search). The Cubs’ causes of action are for breach of contract for T. Lamb’s breach of the settlement agreement as well as the same single count (citing 15 U.S.C. 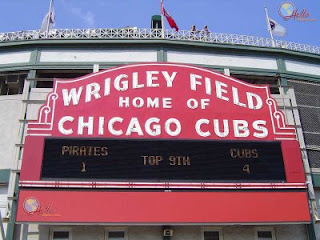 §§ 1114, 1116(d) and 1125) cited in the Cubs previous rooftop lawsuit which argues that T. Lamb’s marketing efforts are willful and wanton actions designed to trade off of the Cubs trademarks and goodwill and which are likely to cause confusion as to the affiliation, association or connection between T. Lamb’s club and the Cubs and as to the sponsorship or approval of T. Lamb’s business activities by the Cubs and adversely affect Cubs’ ticket sales as well as the ticket sales of the Cubs’ rooftop licensees. 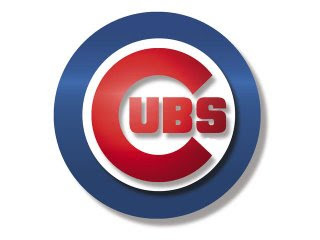 The Cubs are asking for injunctive relief to stop T. Lamb from using the Cubs’ trademarks and engaging in any marketing which is likely to cause consumer confusion regarding affiliation with or sponsorship or approval by the Cubs of T. Lamb’s business. The Cubs also seek compensatory damages, T. Lamb’s profits, treble damages, statutory damages under 15 U.S.C. § 1117(c) (for alleged counterfeiting), interest, costs and attorneys’ fees. It is not yet apparent whether the Cubs, as they did in the prior lawsuit, will threaten to obstruct this particular rooftop view of Wrigley Field enjoyed by T. Lamb’s club.